just got back from Tyler’s in Palm Springs where you can have one of the best hamburgers, french fries and coleslaw meals for under $15! 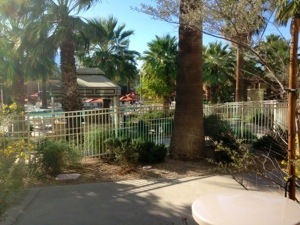 in Palm Springs California. We ordered sliders, which come with cheese for $3.25. Order them with the works, with carmelized onions, mustard, relish and mayonnaise. They taste fantastic and with the coleslaw and french fries are more than a meal. Don’t forget to order your favorite kind of cheese on your Tyler’s burgers in Palm Springs. We tend to split the fries since there are so many provided. Some people who are hungry will order a regular burger, but we find that the sliders are more than enough for us. We just have water with our meal, however you can order wine and beer as well as other drinks. It is a bit too early for us to have a drink. They open at 11:00 and there is usually a line by 11:30 to get into the place. Tyler’s restaurant opens at 11 o’clock everyday and by 1130 there’s a lineup to get in. If your hungry and in a hurry it is best to get there before 1130 otherwise you’re going to have to wait in line and sign in at the sign-up sheet. The wait is not too long, nevertheless there is a wait because this is a very popular place. Couples can often get in more quickly than parties of four or more. They also have a small seating area inside, bit most people will sit outside under the canopies which protect you from the sun. They close around 3pm. We make a special effort to go to Tyler’s every year that we are in Palm Springs at least two or three times a month. Try it out we know that you will enjoy it. For more posts about restaurants in Palm Springs, click here. This is the Archway that leads from the parking lot to Ruby’s restaurant on Palm Canyon Dr., Palm Springs. If you have not dined at Ruby’s for breakfast or any other meal your missing an excellent meal. You can sit outside and enjoy the fresh air as well. They have a large outdoor patio with heaters during the times when it gets a bit cooler in Palm springs. You can also sit in side in what can be best called a 1950’s diner complete with a little train running around on tracks suspended from the ceiling. This is one of the best places to enjoy a meal, get great value for your money and do a little people watching at the same time. They have two patios, one facing the street and the other facing the walkway / archway that we mentioned earlier. There is lots of opportunity to find sun or shade depending on what you are looking for. We make a habit of going to Ruby’s at least once or twice while we are staying in Palm Springs. 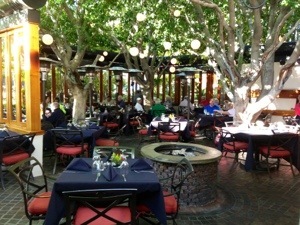 You can also try the Falls Restaurant located just above Ruby’s Palm Springs on the second floor. It is another great spot for happy hour as well as fine dining. Ruby’s offers a really large breakfast menu, the portions are large and sharable if you are so inclined. The coffee is bottomless and there are umbrellas if needed over almost all of the tables. A favorite time to eat at Ruby’s Palm Springs is on Thursday nights when the street fair is taking place. You can sit outside, have your dinner and watch all of the people strolling past. After you are finished, many people will stroll the six or seven blocks along the street and take in the street fair which offers something for almost everyone. There is lots of food stalls, vegetables and things like homemade jams and honey. Many different arts and crafts and lots of display for services offered by local business. The street fair runs every Thursday from 6 pm until approximately 9:30 pm all year round. 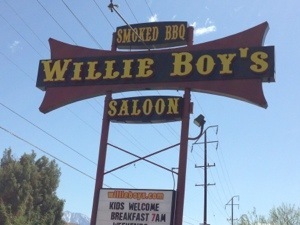 For lots more posts covering restaurants in Palm Springs, click here. We recently visited the Las Palmas Hotel and spa to go to one of the restaurants called the Palms Café for breakfast. The setting is gorgeous as shown in the picture that we’ve taken and included on this blog. The Las Palmas spa restaurant is very much over rated. We would not suggest that you spend your money at this particular restaurant. The service is not very good. It was if they did not want to serve us. We also found the cost of the items we were considering much more expensive than many other locations around the valley. This one is not for us even though the scenery was great. We found that the service was very slow and the prices were exorbitantly high for breakfast. As an example a small bagel with jam was nine dollars and a coffee was $2.25. We found this very high for the level of service and for the quantity and quality of the food. There were a couple of people eating there, but nothing fancy. Granted that the setting was beautiful and you’re probably paying for that setting, but if you’re looking for a decent meal this is not a place to come. It really looked like this restaurant was something they provided because they felt they had to and it was not really aimed at making money. We would recommend that you not waste your money on this location! Anyone who spends their money at this location is looking for a really quick bite and not interested really in spending quality time or enjoying a quality meal. Swimmers at the pool might look to this restaurant for something quick to eat, a snack to satisfy their hunger until the next meal, but be prepared to pay a lot for little quantity.. There are many great places to go to have a meal other than the Las Palmas spa restaurant. There are so many choices that one wonders why you would ever consider going to this restaurant at all. The entire valley is filled with restaurants of all kinds. With so many to choose from, providing better settings and value for your money, this is one to avoid. We recently went to Shanghai’s bar and restaurant in Palm springs, California and would like our readers to know that this is a really great place to have a cool beer and enjoy a fish taco. The Shanghai Restaurant Palm Springs is a little hole in the wall behind the Fish Market. It has a lot of character, is a neat place to go and really great food. It seems to be a place where the locals go to have a beer, a fish taco etc. You can sit inside at the bar or outside, however we feel that the inside bar has all the charm of an old style bar. The fish taco’s they serve at this location are really great, and priced reasonably as well. For $3.00 you can have a fish taco and a beer for another couple of dollars. The atmosphere is really great, relaxed and enjoyable. As of the fall of 2014, the prices have been increased, however we still think it is worth it. They also serve garlic toast as well to patrons. In fact one night we had 3 servings of garlic toast brought to our table before we had to tell them to stop. We wanted to leave room for our meal of fish taco’s! If you are looking for a relaxed meal, in a cool place this is definitely the place to go. There is ample parking in the open air parking lot in front and if that is full, park in the parking garage for free right next door. If you live anywhere close to down town, it is easy walking distance and probably better that you walk and not drive after having a few drinks. Many people also like the fish market for their fresh fish and apparently the meals are quite good. However we the atmosphere does not agree with us. We prefer Shanghai Restaurant Palm Springs much more. The California pizza kitchen in Palm Springs was located inside the mall that has been torn down. As of 2017, it is no longer there. A new building has been constructed. 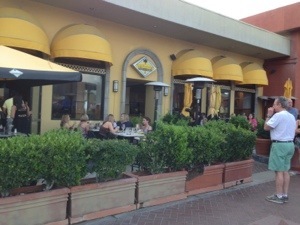 It was on the main strip of Palm Canyon Drive and provided typical American-style pasta food and salads etc. The location is not fantastic but the food was very good and reasonably priced. It was one place that you should probably visit while you’re in Palm Springs. But there are lots of other restaurants that are better quality, that provide better service and are in a better area just down the street within one or two blocks. In fact the city has just approved a new development that involves tearing down the mall that the California Pizza Kitchen is part of so next time we visit Palm springs we expect that this restaurant may be closed or may have moved to another location. Once the upgrades are completed, this area will be a lot more interesting to visit and spend time in. We have eaten several times at this restaurant and have always enjoyed the food, however we are trying out many places to get a feel for all of the new restaurants so that we can report on them in this blog. Palm Springs restaurants are among the best in the country! There is literally all kinds of food types to choose from and there are many places with happy hour as well. Most have out door patios and excellent service to go with excellent food. We have been coming to Palm Springs for years and have our favorite restaurants. We also like to try new restaurants every year as well. 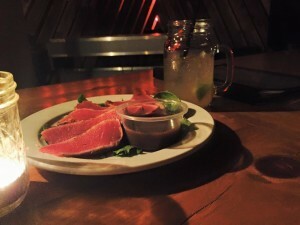 The following is a short review of our favorite places in Palm Springs to dine ! 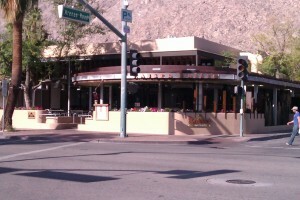 The Falls – located in down town Palm Springs beside the Match box on the second floor above Ruby’s. the Falls is known for three things – smoking Martini’s, really great food and dining on balconies that overlook Palm Canyon street. This is one of our fav’s! 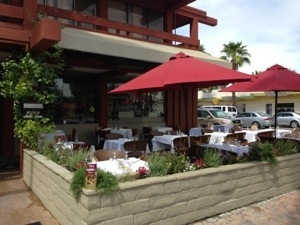 Kaiser Grill – also located on Palm Canyon street in down town Palm Springs. Really great food, dine outside overlooking the street and of course happy hour. Tyler’s – this is the best burger place in Palm Springs and it is only open for lunch. Customers begin lining up at 11:00 am and the restaurant closes at 2:30 pm. Sliders, full burgers, coleslaw, fries and much more. This is a must. 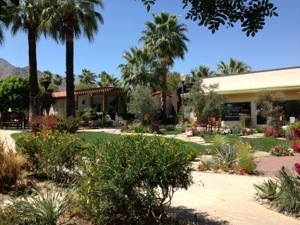 They are located in downtown Palm Springs in the plaza on Indian Canyon. Bill’s Pizza – served really great pizza with at least 20 different pizzas to choose from. They have great pizza and 75 cent beer all day on Mondays! What more can you ask for, pizza and beer? They are located across the street from Tyler’s. 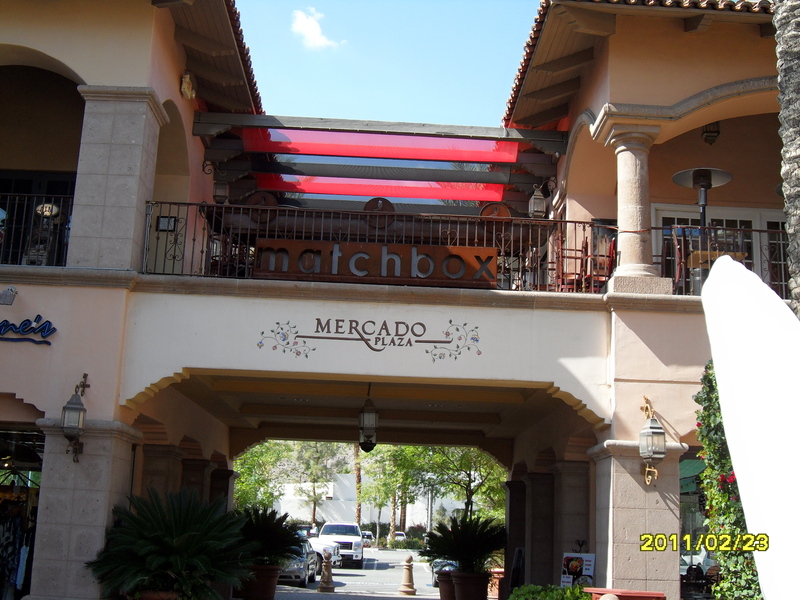 The Matchbox – they are downtown in Palm Springs on the second floor. They have a really great patio area that over looks the street and the outdoor area of Ruby’s. we like happy hour and their food, but not their main restaurant. Ruby’s – we have only been here for breakfast, but they serve a really great breakfast with lots of coffee. Two great patios to dine in with heaters and umbrellas to cover all kinds of weather! The Village Pub – the last pub on the south end of the street, with two floors and outdoor heaters on the patio. Their claim to fame is the $2 beers. We did not like the food so much. 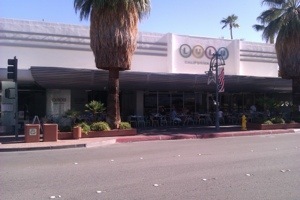 Lulu’s – this is an extremely popular restaurant in down town Palm Springs. Very modern, great food, the place to hang out in the city. It is always packed every night and they have happy hour all day at the bar. 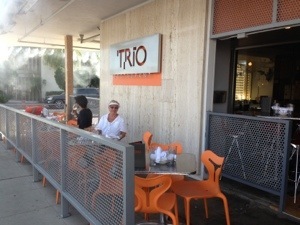 Trio – in up town, this is another classy bar. We have only been to this restaurant for a glass of wine but based on the atmosphere and the happy hour prices, we will be back! Three Sixty – also in uptown, this is a new restaurant for us. Great happy hour and entertainment on the weekends. The night we were there they had a jazz group playing. Chipotle – a fast food chain, but clearly the best fast food Mexican style restaurant in the area. There are many more places to visit in Palm Springs. We will add more reviews as we visit them. It appears that Willie was gangster , or rather instead what he did was he killed his wife’s father’s and took off with the girl. There was a posse after him but after chasing him into the mountains above Palm Springs, he killed himself. The saloon is named after him. 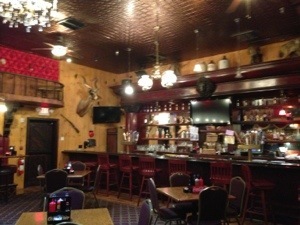 We included a couple of pictures of the outside and the interior of Willie Boy’s Saloon Morongo Valley. We were there in the middle of the afternoon, so it was pretty deserted. At night apparently it is very busy and appears to be one of the best saloons in the area. It is a bi of a drive from Palm Springs and you need to give some thought about drinking and driving especially with the hair pin turns coming up from the valley. Still it is worth stopping for a cool one on a hit summers day. 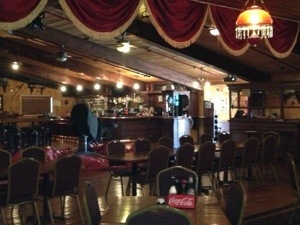 You can see from the pictures the inside is decorated much more than any saloon normally would be. There are lots of antiques and nick nacks all over the place. There is lots to look at. they have music in the evenings and weekends. We had a snack while there along with a couple of beers. The food was really good and the beer was cold. 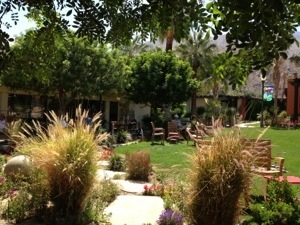 The Corridor in Palm Springs is actually a backyard for several restaurants including a coffee shop. Patrons love to sit in the shade and enjoy a coffee and pastry. Or even consume their meal at one of the tables. It is a very pretty setting. There are stores that can be visited surrounding the outdoor area. I find it particularly nice in that I can relax in the shade and enjoy my coffee. As a result my partner can go window shopping at one of the stores. As you can imagine I am not a shopper and not interested in just looking for things that I really do not need. Anyone who makes a purchase of a coffee or food can use the tables and chairs to enjoy their purchase. Or visit with other people who have joined them. In the mornings it is not uncommon to see customers reading their morning paper while enjoying their coffee in the patio area. This is a popular spot in Palm Springs and is often crowded. Patrons can choose to sit on the lawn or on the patio stones that are distributed around the areas. There is lots of seating however even that fills up. Hence you need to be patient, someone will move and you will get a seat. Patrons tend to stay longer and enjoy the environment. Of course during the summer, it can also become quite warm sitting in the sun. 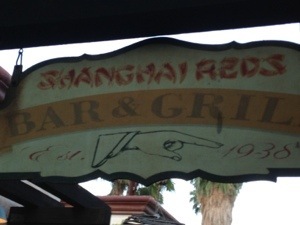 Shanghai Reds has been in Palm Springs for the past 15 years and is a must place to visit ! Located on Indian Canyon road behind the fish market restaurant, you might never know it was there unless someone told you about it. For some people it reminds them of a bar in Shanghai while for others it reminds them a small bar in the heart of Mexico. This is not a large restaurant and sometimes you cannot get a seat for a short time. But be patient or just get their early. They also have entertainment some nights. If interested you will want to ask at the bar which nights they have entertainment. Their seafood comes from the fish market restaurant next door and all of the food is fantastic. We had fish tacos the last time we visited and they were the best we ever had. They also serve free hot garlic bread to all of their customers sitting at the bar! This is a must place to visit. It is also Zagat rated and they deserve it! this is a place we really enjoy and will be going back many times in the near future. We find sitting at the bar to be the most entertaining. Not only can you watch the cooks prepare various orders, you can chat with other patrons. Pretty much everyone is on vacation and looking to have an enjoyable time. They like to meet people from different parts of the continent and learn about other bars and restaurants that are good to go to on the Palm Springs area. The cooks are very busy. We find it amazing how the put out so much food in a small space that is also so good. 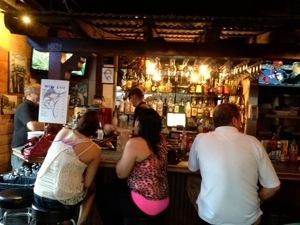 Many people like to sit outside, however it is much more interesting sitting inside at the bar. You have to go early in order to get a good seat. This is a list of great places to eat in Palm Springs. Most of these restaurants have happy hour Palm Springs deals. Try them and let us know! Many visitors to Palm Springs only go out for happy hour and avoid the more, expensive main courses. It is also a great way to try out a restaurant to find out what the food is like and also the service. If you enjoy the experience you can always go back for happy hour or for a main course. A great way to try out and then go back if you like it. All of these places are found by using Google with the name of the restaurant and the city indicated. – We like the cafe at the Camelot and Rick’s Grill for okay and inexpensive dinner . Just looking for a change tonight. – NEW FORTUNE is good Chinese in Cathedral City across from Trader Joe’s and below Elevations. – Also Villa Bakery….atmosphere way lacking but good authentic food and bakery goods. In Palm Springs. – I really liked Jiao, but don’t know that I’d qualify it as “cheap eats”. Looking forward to their Sunday dim sum menu soon. – I keep forgetting Ruben and Ozzy’s. Maybe tomorrow night, giving up on the hour and a half wait Birba. – Love, love, love RUBEN & OZZY’S…everything is delicious & reasonably priced + happy hour menu after 8:00pm:-) They’re open for lunch, too! – Oh yes dinner too. I only eat meat occasionally but try the carnitas nachos. I want to live in a big plate of those! – Cafe Italia (N Palm Canyon at Racquet Club) is a good bargain too. For more information about Palm Springs Restaurants and also happy hour in Palm Springs, click here. 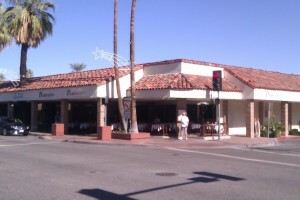 Riccio’s restaurant is in the uptown area of Palm Springs at the corner of Palm Canyon road and Alejho. They offer a $28 special which includes a salad, main course and desert. I had a Caesar salad, petite filet with baked potatoes and vegetables. The service was excellent and the food also. I had a red house wine, Cabernet, for $6 which was very good. We dined with friends on a warm spring night in Palm springs, probably around 80 degrees F, in shorts and T-shirts. A very comfortable evening in a town that offers a great deal to do. There are many restaurants to choose from, so many in fact that you might not revisit the same restaurant twice in a season unless you found one that you really enjoyed. This restaurant, Riccio’s in Palm Springs could be one of them! Check them out if you are in the Palm Springs area. We enjoyed our evening very much. This restaurant provides a choice of indoor dining vs. outdoor dining. We sat outside and enjoyed the warm evening while people watching. The atmosphere was very nice and the service was also excellent. If you’re in town, this is a great place to try out. It is a little north of the main downtown area, so it is a bit more quiet than some of the other restaurants. This is just fine in our opinion. For more restaurants to try in the Palm Springs area, click here. NOTE: The California Pizza Kitchen Palm Springs is no longer at this location. As a result we will provide more updates to come, stay turned. We just got back from the restaurant. 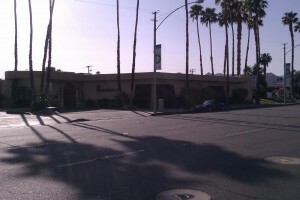 It was located on Palm Canyon road, just down the street from Starbucks and the Marilyn Monroe statue. 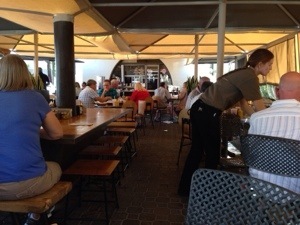 We enjoyed our meal at California Pizza Kitchen Palm Springs very much. We had a Caesar salad and a chicken pasta dish. Very good! This was on a Thursday night in March with the temperature at 75 degrees! In addition this is the night of the street fair and we sat outside for our a meal. In addition we enjoyed watching people walking up and down the street! The street fair is held every Thursday night. As a result thousands of people come to stroll up and down the street every week in the year. The California Pizza Kitchen is located in the old mall that has been closed for over 10 years. Fortunately for them they have an outdoor entrance with a patio on the street sidewalk. Unfortunately the mall has been torn down. Hence the restaurant is closed. Subsequently we will provide an update once we hear what is happening to this restaurant. In addition for more Palm Springs restaurants to try out, click here. We recently visited the Three Sixty North Palm Springs restaurant in Palm Springs for happy hour. It had been recommended to us by some people who are staying in the same condominium as we are. 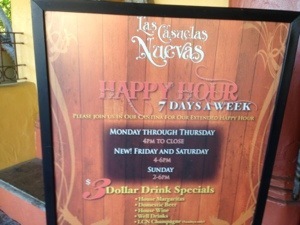 We found the prices for happy hour to be on par with most other places in Palm Springs. The food that we had was quite good. We had sliders with caramelized onions. We would have liked something else with them such as the standard mustard and relish. However these are not offered. We also had baby clams which were excellent. Normally happy hour is only inside around the bar area, however they allowed us to sit in the sidewalk patio area since it was not that busy on the evening we went. They seem to be pretty flexible. The only complaint that I have is that the chairs are not that comfortable. they also had a jazz band playing which was very pleasant to listen to. 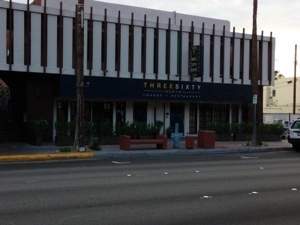 One of the valley’s newest restaurant and entertainment venues, Three Sixty North is located on the strip in the heart of downtown Palm Springs, California. Drenched in dark woods, linen, granite, and stacked stone, the atmosphere is comfortable, stylish and relaxed. A great place to hang with friends or just shoot the breeze with the friendly bartenders, The Lounge features HDTV’s to watch your favorite sporting events, as well as unique specialty cocktails, fine wines and an enticing, yet varied, selection of appetizers and small plates from $4-$8. With “Happy Hour All The Time”, this is a great place to unwind at the end of your day. Similar to the famous “supper clubs” of the 50’s and 60’s, Three Sixty North reinvents this popular era with live entertainment and dancing every night in our dining room. Enjoy great steaks, chops, seafood, pasta and pizza, along with great specialties from our famous “Little Italy Menu”, all at very affordable prices. Three Sixty North features Live Entertainment Wednesday-Sunday! Enjoy great bands, musicians and singers performing Standards, Jazz, Rhythm and Blues, Pop and more! For other restaurant locations in Palm Springs, click here. 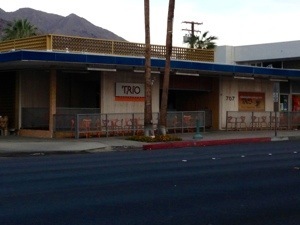 Trio Palm Springs restaurant uptown on Palm Canyon Drive just two blocks north of Amado road. 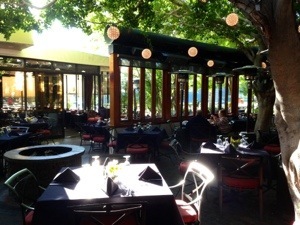 This picture shows the patio for the Restaurant Trio where you can enjoy a happy hour glass of wine for $3.00. Pinot Grigio which is not normally a house wine in many restaurants and bars. We spent several afternoons wiling away the time at this restaurant chatting and enjoying the weather. On this particular day the temperature was over 90F so they have the mist going to cool off their patrons. If you have not experienced this before, you should. It really works and will keep everyone cool even on the hottest days. Uptown is a bit less popular than the downtown area of Palm Springs, however the restaurants, coffee shops and bars are adding to the antique shops that have been in this area for years. If you like to browse and look at many unique pieces, this is the place to visit and then relax afterwords with a glass of wine. You do not have to deal with the crowds of tourists that typically are in the downtown area. There is time to browse the art shops without having to jostle with people. You can usually get into a restaurant with no problem and not need to wait in line for any length of time. Uptown is definitely worth exploring. There are lots of great restaurants in Palm Springs, Click here for more restaurants. Spencer’s is a very nice restaurant is attached to the tennis club. It has a lot of traditional members and is part of Palm Springs social scene. 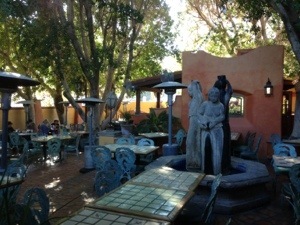 We recently had breakfast at Spencer’s outside in the courtyard area. It has inside bar as well as an inside restaurant and you can see the pool area and the tennis courts from the restaurant. As you can see there is lots of trees providing shade which is important on the warmer days. The sun can get pretty intense. You do have to put up with leaves occasionally falling on your table and on you. Not a huge problem, unless it falls into your food. Our rating of this restaurant is as follows.,ambiance is fantastic, quality of the food is average, service of the food is average. Overall value for the money that we spent at this restaurant I would say is below average due to the cost of the breakfast we had. For example three eggs ,scrambled toast , hash browns and a small amount of fruit the cost was $6.99 Add to that coffee at three dollars and your bill plus tip for one breakfast his well over $10. This is more than other locations. I guess you are paying for the location, the name and the ambiance if you like that sort of thing. There are better meals at other locations. Some may not have the ambiance that this one has, however it really has to be something that appeals to you. We did not like the occasional leaf that dropped into our food or coffee. I am not kidding when I write this.I had to fish a leaf out of my coffee several times. There is something that is not just hygienic about removing a leaf from your coffee. We would not go back to this particular location, however many people do enjoy eating there. I am sure it is very nice in the evening under the stars with soft lighting among the trees. Friends of ours go to Spencers twice a week because they enjoy it so much. It is not for us due to pricing and the leaves falling all of the time. For more Restaurants in the Palm Springs area, click here. Dinner at The Falls Palm Springs restaurant in Palm Springs sitting on one of their balconies over looking Palm Canyon street is one of the best ways to spend an evening! Unfortunately you cannot have dinner at the Falls restaurant any longer. It closed in 2017. Of course, you may still enjoy reading this post. It really was a great restaurant to spend an evening and enjoy dinner. It was one of the best we ever had. Hence we still talk about it with couples that we have been there with. We ordered Caesar salad which is made from scratch in front of us and tastes excellent. Then we dined on filet Mignon steak that was cooked to perfection. Add to that a baked potato, Brussels sprouts and spinach. You have an excellent meal with fantastic ambiance. A trifle on the expensive side. But when you add the location, the ambiance and the company you have a wonderful evening. The restaurant is in the heart of downtown within easy walking distance for many residents. If you drive there is also street parking in front. In addition there are several parking lots available, with one immediately behind the restaurant. Our evening often starts with a drink in the bar area which is open to the sky. There is a small waterfall at the back of the bar and happy hour prices for the drinks. Subsequently we proceed into the dining room which is very nicely appointed and out to one of the three balconies that look out onto the street. One of the balconies is in front of a large sign which we would not recommend. Of course the other two are fine and will seat four people very comfortably. On a warm evening, these are the tables to dine at with the view of the street, the palm trees and the lights. For other restaurants, click here. The Pacifica Restaurant Palm Springs is a great little restaurant in palm desert along El Paseo. The restaurant is located upstairs above the shopping area. Patrons can enjoy a view of the street. Or sit at the bar or in a secluded booth for a more private rendezvous. There are many great restaurants in the Palm Springs area. This one although actually not in Palm Springs, is another absolutely great place to try. My wife loves to shop and after spending a few hours shopping we headed upstairs to the Pacifica Restaurant Palm Springs for a glass of wine and a snack. What a great way to spend an afternoon. If you have not been to El Paseo, and love to shop at some of the best and most exclusive shops in the area, then you are missing an opportunity. They have golf carts to bus you from one end of the street to the other. Only the best shops are located here. Be prepared for high prices and high quality. Although personally I am not sure that some of these things are actually worth what they are asking. But you do once in a while find a bargain item that has been marked down a great deal. Personally I like to go to the Apple store and either play with some of the display machines, talk to one of the store consultants or just use the free WiFi to update my mail and catch up with what is going on in the world while my wife shops. When we are finished we can always meet up at the Pacifica Restaurant for a cold beer. For more Palm springs restaurants and restaurants in the area, click here. Lulu’s is one of the best restaurants in Palm Springs. virtually any day of the week, this restaurant is busy with many satisfied customers. They have an all day happy hour at the bar and at the high tables around the bar. If you are sitting at one of the tables anywhere in the restaurant you will pay regular price for drinks and appetizers. 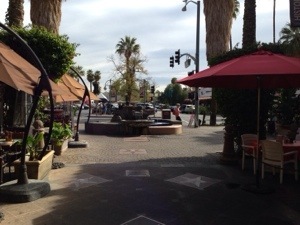 They have an extensive patio situated along the sidewalk on Palm Canyon Drive where you can dine in comfort and also people watch as residents stroll along the sidewalk. Even better on Thursdays when the street fair is taking place, there are thousands of people on the street to watch. Customers can sit in the comfort of the restaurant sipping on their favorite beverage and enjoy the warm evenings. Lulu’s also has mist sprayers on the patio to keep you cool on those really hot nights when you are sitting on the patio. Surprisingly the mist blowing on you really does cool you off when the temperatures are in the 90’s and above. Most restaurants have this feature to keep their patrons cool when the weather gets too hot to be comfortable. It can really make a difference particularly when the sun is beating on you. Lulu’s also has various specials during the day and evenings. When we went for supper at this restaurant, for $19.95, they offered a three course meal which included a salad, the main course and desert. There were several choices which all were excellent. Although this is a very busy restaurant, it is an excellent place to dine. If you are looking for something a little more quiet and romantic, you may want to try another restaurant down the street from Lulu’s in Palm Springs. For more things to do in Palm Springs, click here. We went to the Acqua Pazza Restaurant in Rancho Mirage recently and enjoyed a very good meal with some friends of ours. 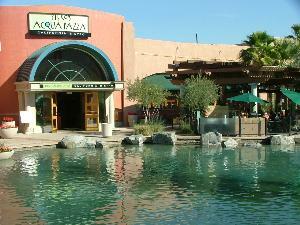 This restaurant is located on highway 111 in Rancho Mirage in what is called the River. There is a small man made lake with several restaurants around it with both indoor and outdoor seating. Although it was a cool night we sat outside at tables in an area that was surrounded by glass walls so that we could see the water and the scenery while still protected from the wind. The night was cool so they had the heaters turned on as well to keep us pleasantly warm. They have a full menu and label themselves a California Bistro. With everything from soups and salads, to pizza to full course meals there is something for everyone. Our group had soup and salad, pasta, fish, pork chops and filet Mignon with dessert. In fact they had a special on for $19.95 which included soup or salad, a main course and dessert. I had a salad, the filet which was 10 oz’s with mashed potatoes and beans. For dessert I also had cappuccino ice cream to complete our meal. Everything was excellent as far as the food and decor was concerned. The service was very good as well providing everything that we needed. However the waiter was a bit fast and did not hang around very much to confirm our orders. We felt a little rushed when ordering our food and he actually left in the middle of one order assuming we were finished with the order. In the end everything was fine and we enjoyed a very good meal. With so many places to try, we may not be back for some time to this restaurant, only because there are many in that area as well as in the valley to try yet. For information on a lot more restaurants in the Palm Springs area, click here. 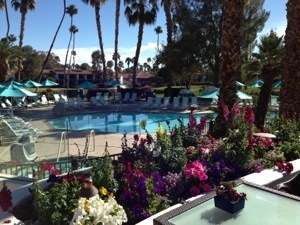 We really enjoyed our breakfast at Peabodies in Palm Springs this morning. This Restaurant is always popular in the mornings for breakfast. They have heaters for cool days and misters for really hot days. 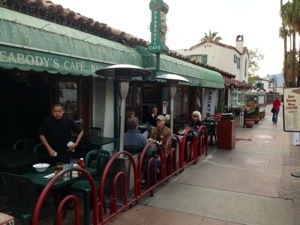 It can be a bit crowded if you are eating on the patio, along the sidewalk, however most people do not mind on a beautiful morning as they enjoy their coffee and breakfast. They are well known for really good meals, lots of food and lots of coffee with great service.There are also heaters that will keep you toasty warm on cooler nights. What more could you ask for! The only negative comment that we can make is that sometimes delivery trucks will park in front while delivering products to various stores. Not only do they block the view, they also leave their engines running. The sound of a diesel engine running and the fumes can be annoying especially when you are trying to enjoy breakfast. this does not happen often, but it does occur so you may want to keep that in mind. For more information about Palm Springs Restaurants, click here. This picture was taken at the Agua Caliente Resort, Rancho Mirage, in Rancho Mirage at Ramon road and Bob Hope drive where they both meet interstate 10. We had lunch sitting on a patio overlooking this tropical paradise, which is actually a pool for the hotel. Lunch is very enjoyable at this location and I am sure dinner would be as well. There is an overhang so you can get out of the sun and enjoy your meal without getting overheated. There was a little road runner who came to visit looking for meal scraps. We talked to the waiter who told us that he is a regular and knows exactly when to come to lunch or dinner. One of his favorites is sweet potato fries. Turns out they are ours as well so we shared some with him. 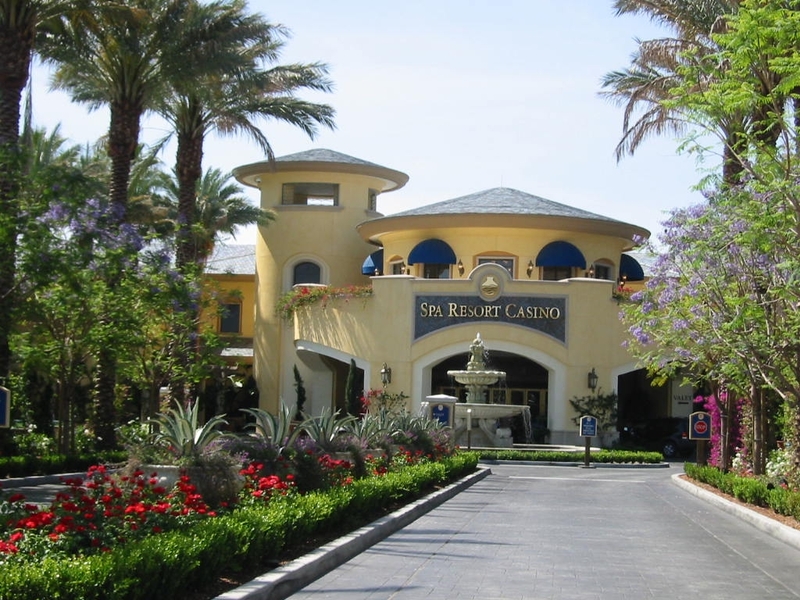 If you spend any time at this particular casino, take a few minutes to enjoy the scenery and even have lunch if you have more time. This is a beautiful way to spend a couple of hours. There are also quite a few shows and events that are held at the Agua Caliente Resort, Rancho Mirage. We have not actually gone to any. However some of our friends have and they have thoroughly enjoyed themselves. There is a large hotel and also a large show room that can accommodate many people. For More details about Palm Springs Restaurants, click here. The Palm Springs Match Box Restaurant is a great place to go for happy hour. We just got back from happy hour at the match box restaurant! Bottled beer was $3 per bottle and sliders are $5! We sat upstairs along the fire pit over looking the street. Great view and we met a bunch of people from Canada. You can see the fire pit in this picture just above the words Mercado. We sat up there and enjoyed our evening looking out on the street and chatting with these folks from Canada. On cooler evenings they have this fire pit to keep you warm and also heaters in other areas near the tables to provide warmth. This is a great place to go for a quick couple of beers, something to eat for less than $20! The Match Box also has a regular restaurant of course where you can order an assortment of foods. We have only dined there once, preferring to take advantage of the happy hour specials and try different things from that menu. The location is great with four restaurants in the same area to chose from all offering their own specialty and all providing great service. These include a Mexican restaurant with entertainment a couple of nights a week, Ruby’s which provides a 50’s style atmosphere and The Falls( Now closed) which also has a happy hour and a large formal restaurant. We highly recommend The Falls for both happy hour and dining as well. For more Palm Springs restaurants, click here. We recently just went to the Panera Palm Springs restaurant at the corner of Gene Autry and Ramon Road in Palm Springs. This is a fabulous restaurant, fast food but with the standard restaurant fair that most people would like with fresh food, fresh salads, sandwiches, soups and lots of pastries. They also put out coffee with the second cup free, and there’s an outside patio tables and lawn chairs and umbrellas. We really enjoy going to this restaurant and would recommend that anyone should really try it. It is Zagat rated for Palm Springs. They also have comfortable reading chairs inside along the windows which are really great to sit at and enjoy your coffee while reading the paper. If you obtain one of these loyalty cards, make sure that you register it online. Present it each time to get credit for your purchases and pretty soon you will receive free drinks or pastries. Also on your birthday, they give you a special gift of a coffee or pastries or something else. You may as well receive these small gifts instead of just paying for them all of the time. We will also try other locations, but so far for us this is one of the best. 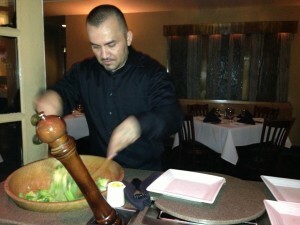 For more information about other restaurants in the Palm Springs area, click here. Just got back from Wangs restaurant Palm Springs. As usual it was packed for happy hour. In case you did not know, well drinks are $2, bottled beer and wine is $3 and Martini’s are $4. Pretty good prices. This is a very busy place on most days. However Friday nights and Sunday nights appear to the day when many gay men and women go to Wangs. If you are not into this sort of life style, then we suggest you might pick another time to visit this great restaurant. The food is actually great as well. We had two appetizers , garlic chicken with rice and also green chicken with rice. The food is really excellent. One thing we would recommend is that if you are several people, you might be better to order several main courses and then share them. Better value and more food to eat than just eating the happy hour menu items. Wangs is usually very busy on the weekends, crowded in fact, so if you are looking for a more quiet evening, we suggest that you try their happy hour during the week or go for dinner during the week. We had lunch with friends at Las Casuelas Neuevo today. They had invited us for lunch and we were happy to accept their offer at this Mexican restaurant. It is actually located in Rancho Mirage and there is a sister restaurant in Palm Springs. The good was pretty good and the drinks also. We had a fajita and our friends had an enchilada. Both meals were the usual great Mexican food that we love to enjoy. We also enjoyed a grande margarita made from really good tequila. We sat outside on the patio with shade trees to protect us from the sun. This is a really nice quaint restaurant that takes you out of Palm Springs and places you in small town in Mexico without ever leaving the United States or Palm Springs California. There is lots of character at this location and you are protected from the hot sun as well. With the trees, shade and mist during the hot months, this is a really great place to spend some time and have a nice Mexican style meal. 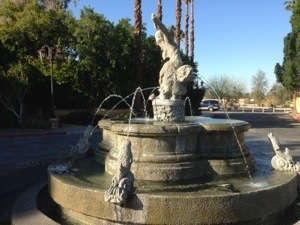 At the entrance there is this beautiful fountain to welcome you and provide a traffic circle. All in all not a bad spot to enjoy brunch or dinner. For more information about restaurants in the Palm Springs area, click here. We had dinner at the Kaiser Grill again this year in Palm Springs with some friends and as usual the service and meals were excellent. It was on a Saturday evening and the restaurant, in fact all of the area restaurants are very busy. We were fortunate to have a table on the patio close to the sidewalk. We could also people watch as we enjoyed our meals. Around 7pm they turned on the overhead heaters just to take the chill off the night air. These heaters are really great and provide a comfortable environment. We enjoyed pizza, Caesar salads, penne pasta, grilled salmon and several appetizers. With such a broad order and a busy night, Saturday, all of our food arrived on time and all of it was hot! In addition it tasted great too! We have never been disappointed by this restaurant. 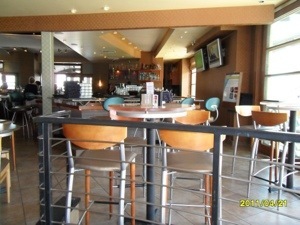 We also enjoy sitting at the bar for happy hour were the prices are reduced. The food is also great. Happy hour is served only at the bar, inside at the high tables and the side patio. The front patio is reserved for patrons who are dining and paying full price. 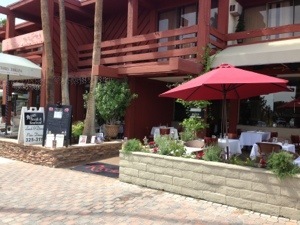 The Palm Springs Kaiser Grill is a great place to dine and we recommend it. As a result we will be going back their soon. For more Palm Springs Restaurant reviews, click here. The Zen restaurant is in the center of Palm Springs surrounded by other restaurants such as LuLu’s and the Kaiser Grill which we have also written about on this blog. They have expanded their patio out onto the sidewalk which is covered by the roof so you are still sheltered from the sun and yet have the feeling that you are sitting outside. We sat on one corner and enjoyed our happy hour very much with a couple of beers and several appetizers. The cutlery is real and there are white table clothes on the tables, so it is really a cut above some of the other restaurants in the area. The waiters are excellent providing very good service as well and we were very pleases by the overall experience. The only negative was the price of one of the appetizers which was on one of the happy hour menu items. We ordered toasted bread with humus as a side for a price of $3.00 . You really do no know what to expect when you are trying something out and we were quite surprised to see a small plate with two small pieces of toasted bread on it with humus spread over these two small pieces of bread. I said to the waiter that this was ridiculous to deliver something so small and charge three dollars. He was embarrassed and nodded agreement and shrugged his shoulders, before walking away. Although there was acknowledgement, there was nothing done to deal with the situation. We paid pour bill and left. Unfortunately we will not go back to this restaurant because of this although everything else that we had looked great and also what other patrons had as well. We can give this a positive recommendation, however just do not order the toasted bread with humus unless you do not mind the price for a really small appetizer. There are many restaurants in the downtown area. 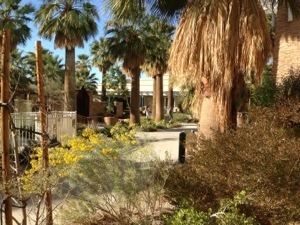 Also the surrounding area of Palm Springs in addition to the Zen restaurant to try out. With so many to choose from there is lots of variety and competition as well. Which makes prices and quality excellent. We are slowly trying all of the restaurants in the downtown area and will report on more as we try them. If you are staying at a motel or condo, near down town, you can walk to everything. Also walk home without the need to worry about drinking and driving. We are fortunate in this regard since we stay two blocks from the downtown area and walk to everything. This is the best way to travel and stay in the Palm Springs area. Almost all restaurants in the area have a happy hour. They all start around 4 pm and end around 6pm to 7 pm. You have to check with the restaurant you going to for specific hours. Also what is included in their happy hour. Many have reduced prices on selected beers, wine and mixed drinks or well drinks as they are called in the area. Appetizers are also reduced in price as well while some will have special menu’s for happy hour. Thursday night is when the street fair is held in Palm Springs beginning at 5 pm. This is a great time to take in one of the happy hours. You can watch all of the people who come to the street fair. It is extremely popular with thousands of people attending every Thursday night. It is one of the best times to come to a happy hour at the Zen restaurant. Or one of the others and then go for a walk up and down the street to admire all of the products from the various venders in the area. For more information about restaurants in the Palm springs area, click here. We always enjoy going to Ruby’s in Palm Springs. This is an old fashion diner with the chrome tables and red leather seats that you used to see back in the 50’s. They even have a small model train, actually two of them running on separate tracks suspended from the ceiling. Breakfast is a bottomless cup of coffee and there are many fantastic breakfast meals available. In fact the meals are often so large that my wife and I will split a meal. I sometimes will order some side dish to go along with the main meal, but rest assured there is ample food on one plate for two people on most meals. We get to save money and we get to manage our waist lines as well by splitting a meal. We talk to a lot of couples throughout our travels and find that many people are doing just that. Ordering one meal and splitting it because of the amount of food they serve. The restaurants do not seem to mind. They are happy to get your business and even will bring an extra plate, sometimes with the meal already split for you. Ruby’s diner is one of those and if you receive great service like that, make sure you leave a decent tip for the waiter. He or she was thoughtful enough to split if for you so it make sense to tip them properly. The food they serve is classed as American fast food, with hamburgers, and many other menu items. They serve breakfast, lunch, dinner and late takeout. We love going there for breakfast and they have a huge menu. Traditional eggs any way you want them, pan cakes, fruit meals, cereal, toast and bagels. There is lots to chose from and they also provide various combinations of the above. If you cannot find something good to eat at Ruby’s we would be very surprised. We are obviously very satisfied with Ruby’s, but we were wondering what other people seemed to think about Ruby’s so check on some of the various agencies that provide review ratings and also on Ruby’s site as well. What we found was no surprise. The majority of people going to Ruby’s had great things to say about the food, the service and the overall experience. We saw a couple of comments from people who received poor service. This is to be expected from time to time. But when over 90% of your ratings are excellent or very good, we can see that they are obviously doing something right. The sun hits the outside area of Ruby’s Diner in the mornings, so it can get a little hot unless you sit under an umbrella or around the side were you are in the shade. Most mornings in Palm Springs are more than comfortable enough to sit outside and enjoy the scenery. Occasionally it will be cool enough that you need to move inside in the winter months. When the summer months arrive, actually even in April, sometimes the temperatures require misters to be started. 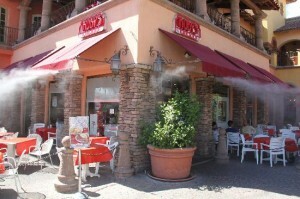 The Picture above shows the misters running on both patios to keep you cool. If you have never experienced this, you should know that it really makes a difference and will keep you cool in the hot temperature weather. Ruby’s Diner is located at 155 S Palm Canyon Dr, in Palm Spring, California. They are right in the middle if the main street of Palm Springs with ample free parking in the back. 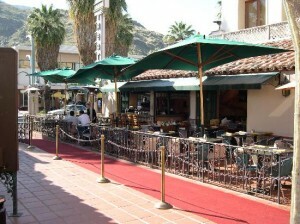 You can sit on one of their patios, have dinner and also watch the people strolling by along the sidewalk. On Thursdays there is the Palm Springs street fair and this is an excellent location to watch the thousands of people strolling along looking at the many venders products available in their booths. We are great fans of Palm Springs and think that it is one of the best places to spend the winter. There are many snow birds who spend their winters there from January through to the end of April. The busiest times are February and March. After March 31, it gets a warmer and there are less people around. We particularly like the April time period. There are fewer crowds and line ups, less traffic and it is a chance to get to mingle with some of the locals instead of the snow birds from all over the US and Canada. Either way, a breakfast or dinner at Ruby’s is a great deal, good food, inexpensive and great service. We recommend that you try it. For more information about the Palm Springs area, click here. The Spa Casino Buffet in Palm Springs is just not as good as many other buffets we have been to in other casinos and it certainly does not measure up to many of the other restaurants that are in Palm springs for the price. We have not been to the buffet in a few years. We were surprised to find out that the price was $23.99 plus tax, less 10% if you have a slot card. This is on Saturday nights when they have their seafood buffet. We went for the crab legs and we were very disappointed. The crab legs were very small, filled with water and they had a fish smell to them. They just did not measure up at all. The other items that were part of the seafood buffet at the Spa Casino in Palm Springs were fried calamari. They were over cooked and tiny shrimp. This was just not good , you expect much more for the price that you are paying, especially when they advertise their seafood buffet. The remaining items were ok, although we did find that the desserts were quite small, which is ok, you can always take more if you are that hungry. We also were surprised when we were told that we had to get our own drinks. You can have as much as you want , just get your own! This is the first time we have seen this in any casino. It looks to us as if they are really trying to cut down on cost. The buffet is also closed some nights. If you are planning to go during the week, check first to make sure that it is open. Also as a final note, if you are going to spend $50 on a meal for two, why not go to a nice restaurant were you are served and have something your really enjoy. We will not be back to the Spa Casino buffet. If you have been there and would like to leave a comment please do. We have spoken with other patrons, unfortunately for us after the fact and found that they felt the same as we did. For more posts about Palm Springs Restaurants, click here. Wangs in the Desert is another restaurant that we have been to several times for happy hour as well as for dinner in the main restaurant. 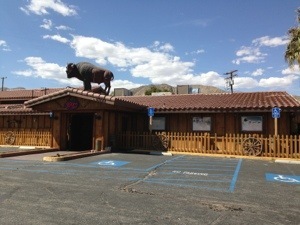 It is located at 424 S. Indian Canyon in Palm Springs, California. the phone number is 760-325-9264. there is ample parking behind at the restaurant. As you enter the restaurant there is a bar in the middle with an outdoor patio area to the left and the main restaurant on the right. We have eaten at this restaurant several times both in the restaurant as well as on the patio for happy hour. Note that happy hour is only in the patio and at the bar and usually runs from 4:30 to 7:00 pm. Well drinks are $2 and well martini’s are $4. There is also a happy hour menu of various items all of which are good and very enjoyable. The patio is enclosed and they provide heaters for cooler nights. This location is very attractive once you get inside, however it really does not look like much from the outside. In fact we really never noticed it even though we had walked past Wangs in the desert several times while out walking in Palm Springs. We were introduced to the restaurant by friends of ours who enjoy going there for happy hour. There meals inside the restaurant are also very good. Although we have only eaten there once with a group of eight people, we really enjoyed the meal and the food. We would recommend that you at least try this restaurant once and form your own opinion. It is out of the way on Indian Canyon in Palm Springs. It is easy to never really notice it. Try it we think that you will like Wangs in the Desert in Palm Springs. If you have been there, why not leave us a comment? Either positive or negative comments are accepted as long as they are well written and helpful to our readers. For more posts about Palm Springs Restaurants, click here.